The young couple looks gorgeous that day. He looks impressive in his impeccable Marine Corps Dress Blue uniform. While she looks beaming in her gorgeous flowing white dress with a beautiful bouquet of flowers in her hands. The minister was ready. The most important guests were in attendance and ready. The place was basking in radiant lights and ready. It was time for a wedding. Many would dream to have their wedding in a big historic cathedral. Others would prefer in a more Edenic scene, like an enchanting garden. 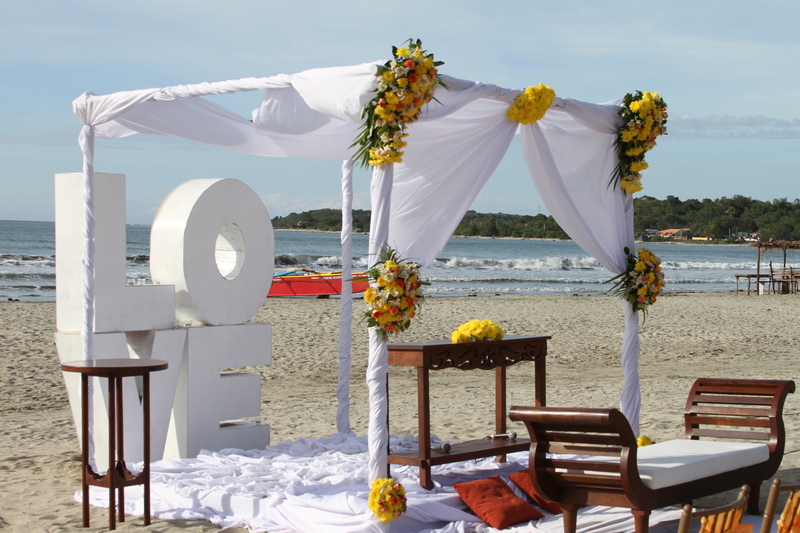 While some would choose a more relaxed yet romantic place, like an exotic beach. But the wedding that I witnessed did not happen in any of the above special places. Instead it happened in one of our mundane Intensive Care Unit (ICU) room. Yes, you read it right, a hospital ICU room. At least the room has a big window with a view of an old nearby church. At least the room was warm and bright, as it was gloomy and cold outside in that wintry afternoon. Not to mention that it was a very expensive room to be in. A day’s stay in the ICU is far more costly than a night in Ritz-Carlton Hotel in New York City. The groom’s mother had been sick for a while. She had been in and out of the hospital for several months for a variety of medical problems. And now she got seriously ill and had been lingering and languishing in our ICU for about a month. She had been on mechanical ventilator and we were unable to get her weaned off of it. The groom’s father had been sick as well. In fact, he was admitted also in the hospital and just got out a few days ago. But the young couple wanted to commit to their vow to each other, whatever the circumstances may be. Perhaps they have been planning for their wedding for some time. The groom even came home from overseas where he was stationed. And I’m sure that the original plan was not to get married in a hospital. But you roll along with what life offers you. It must go on. There is no such thing as a perfect place for a wedding. No such thing as a perfect day to get married. There is no perfect circumstances. Not even perfect couple. Just perfect love. In the midst of sickness and suffering, when life hangs precariously in a dance between life and death, in a world of uncertainty and unclear tomorrow, love still conquers all. It always will. May you all have a meaningful Valentine’s. i have read a filipino couple got married in the middle of inundated church just after a typhoon back home but exchanging vows in icu is really something doc! im sure the moment was heartwarming!